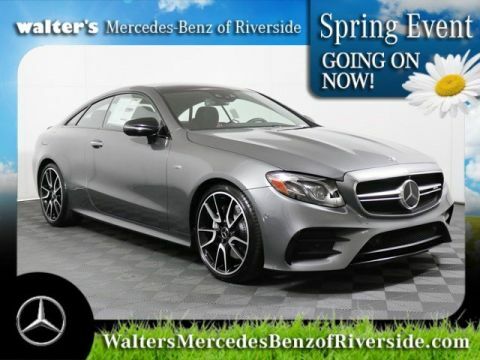 Only 2 4MATIC® Cabriolet models left in stock! The E-Class cabriolet has grown not only more elegant and sporty, it's also grown 4.4 inches in wheelbase for more breathing room in its open-air cabin. Graceful in its lines and its moves, it embodies the beauty of a true athlete in form and function. Its rich fabric top is finely tailored when up, stylishly concealed when stowed. From the iconic Star in its grille to its sparkling wraparound LED taillamps, the lure of the open road and sky above unite like no other car. The 3-layer acoustic soft top is meticulously tailored for long-lasting beauty and a remarkably quiet cabin. A bonded butyl layer fends off the elements while keeping the top-up profile smoother. At speeds of up to 31 mph, the one-button power top takes less than 20 seconds to vanish under a sleek cover that elegantly unites the cabin and rear deck, while leaving ample trunk space. Four stylish colors are available. Among its generously sized windows is a heated rear window. Engineered from the sky down as a convertible, the E-Class Cabriolet delivers more than breathtaking style and a breeze. Its aerodynamics are class-leading, enhancing stability, quietness and ride comfort. The strategic use of ultrahigh-strength steel and aluminum team up for exceptional rigidity, solidity and durability without the burden of excessive weight. Four individually tailored seats are an E-Class Cabriolet tradition. So is the driver focus of its advanced instruments and controls. With a wheelbase stretching more than four inches beyond the previous generation's, the newest E-Class Cabriolet offers greatly expanded rear legroom. It's a true four-seater, not only by the count of its seating positions, but also by the measures that count even more: comfort, craftsmanship and contentment for all aboard. The seamless power and natural balance of an inline-6 return with another Mercedes-AMG tradition: a technological leap forward. The lightweight, fully beltless engine is also electrified: An Integrated Starter-Generator can supply up to 21 hp at certain rpm, allow fuel-free coasting and recapture energy during deceleration. With a twin-scroll turbo and electric auxiliary compressor, the gas engine outputs 429 hp and 384 lb-ft of torque on its own, for quick, efficient response. Electrifying the new inline-6 gasoline engine is an innovative Integrated Starter-Generator. 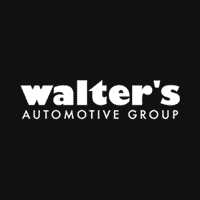 It teams with a 48-volt lithium-ion battery and power supply for formerly belt-driven components like the water pump and air-conditioning compressor, reducing weight and enhancing underhood packaging. In addition to boosting power and torque for immediate response, EQ Boost offers a substantial reduction in fuel consumption. The cylinder walls of the diecast aluminum block are created in an AMG-patented process that benefits performance, efficiency and durability. NANOSLIDE(R) technology uses a twin-wire arc spray to coat the bores with an ultrahard layer that's honed to an ultralow-friction, mirror-like finish. Without the added weight of cylinder liners, the bores and lightweight forged pistons are matched with even greater dimensional precision, for more immediate and consistent power over a longer service life. Power front seats feature intuitive, seat-shaped controls on the door, plus a 4-way power lumbar support. 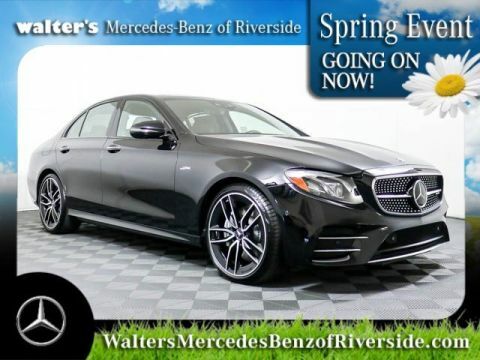 To set and save your ideal driving position, a memory system for each front seat recalls three stored positions for the seat, plus the positions of the 4-way power steering column and side mirrors for the driver. Designed to cradle the driver and front passenger through every curve, the deeply contoured front sport seats feature integrated head restraints inspired by racecar seats. The twin rear seats have a similar design. Extend your top-down driving enjoyment further into a cool evening or later into the season with the AIRSCARF(R) neck-level heating system. Vents beneath each front head restraint deliver warmed airflow to your neck, head and shoulders, like a virtual scarf. With individual 3-stage temperature controls and airflow automatically adjusted to your driving speed, AIRSCARF means you don't have to put the top up just because the sun, or thermometer, has gone down. An exclusive Mercedes-Benz Cabriolet innovation, AIRCAP(R) is a virtual wind blocker you can engage at the touch of a button. Utilizing an airfoil that rises from the windshield header and an electrically operated see-through mesh screen between the rear head restraints, AIRCAP helps keep top-down driving quiet and draft-free even at highway speeds. And unlike conventional wind deflectors, the rear seats remain fully usable. 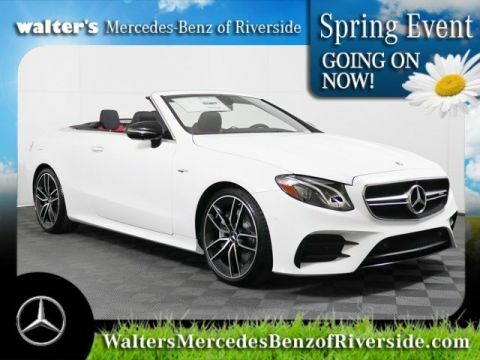 Let the 2019 Mercedes-Benz AMG E 53 4MATIC Cabriolet impress you in person today at Walter's Mercedes-Benz of Riverside located at 3213 Adams St. Riverside, CA 92504.